In order to encourage and promote the entrenchment of Zacatecas community in the place of origin, the state government of Zacatecas in collaboration with clubs and federations has driven through the years called agricultural tianguis under Celebration Zacatecano day. 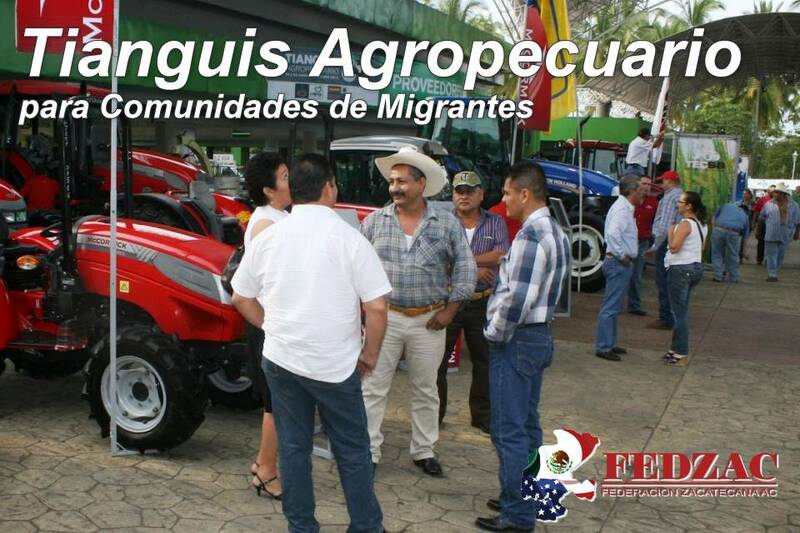 These tianguis benefit the families of the migrants in the community of origin wp-through support of up to 50% or $ 150,000.00 pesos to support the purchase of tractors, 50% or $ 50,000.00 pesos in agricultural implements and livestock and to $ 14,000.00 pesos in stallions and farms. For people who benefit from the raffle went tractors, agricultural implements or stallions in Zacatecano Day celebration in November 2013, we inform you that they are already receiving documents in Zacatecas so that they can claim their support. 4. Copy of notarial deed of the property with a hectare per horsepower tractor you are considering buying , parcel certificate or should not have all the required surface can present a lease for at least 3 years duly signed and stamped by the mayor, trustee or representative of the community. This lease must be accompanied with their respective copies of deeds or parcel certificate . Telephone : 492 923-9501 and 478 985 4210 ext 3012 , Mr. José Ángel González . 4. Copy of notarial certificate or parcel of land with a minimum of 10 hectares.